It's almost Saucony Saturday! Come by the Wade Avenue store this Saturday when our friends at Saucony will be hanging out with us. Between 10AM and 1PM, purchase any Saucony item (including shoes and apparel) and you'll have your pick a SURPRISE gift with purchase. You might get a percentage off your purchase, or even a free pair of shoes! 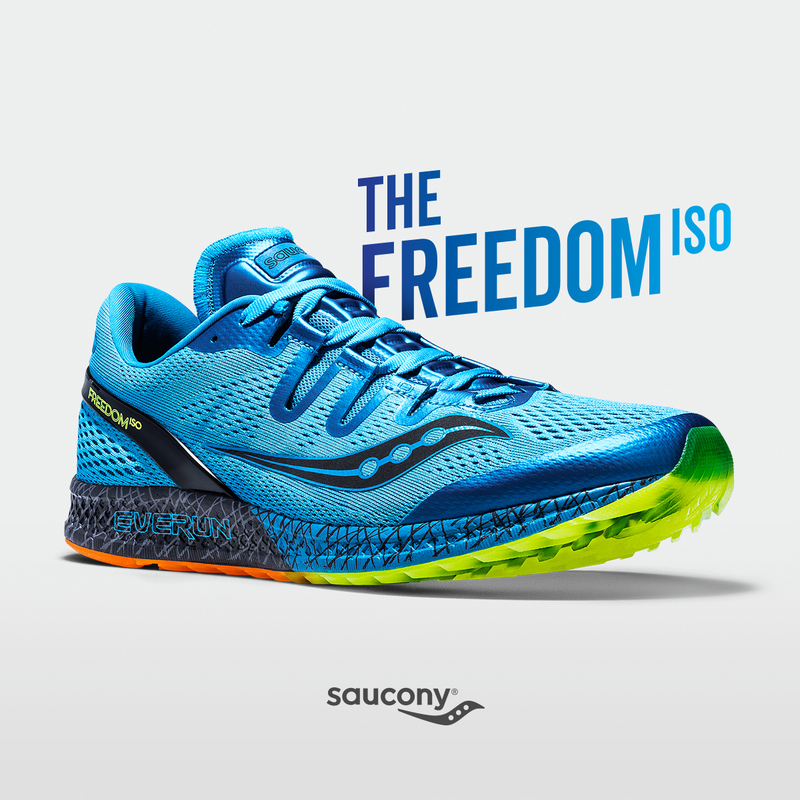 While you're here, try out Saucony's newest shoe, the Freedom ISO! This shoe is the first to feature a midsole with Saucony's EVERUN cushioning through the full length of the shoe, offering greater energy return and continuous cushion throughout your run and a softer topsole that conforms to your foot. The ISOFIT upper hugs your foot with minimal material to cut down on weight. The crystal rubber outsole provides greater traction and durability while maintaining flexibility. Stop by on Saturday and take a pair for a spin, and get the chance to win something awesome while you're at it!